Setting the tumblers, need more! I’m badly in need of more rock tumblers. I set both of my rotary tumblers last night and had my vibe going the whole weekend. But it’s not enough. 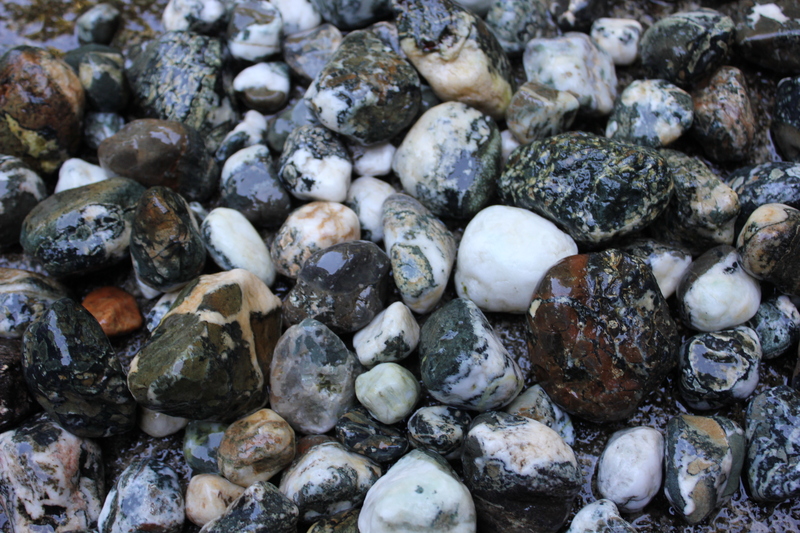 My rockhounding hobby is dwarfing my production capacity. I am looking for a warehouse of some sort and operations headquarters. Mostly Dallasite and a piece of red jasper in there. This came out of medium/fine polish in my vibratory tumbler. My vibratory tumbler ran a big load of Dallasite in medium/fine grit over the weekend. I’ve read suggestions to fill vibe tumblers almost as full as you can so I did that, but this batch definitely didn’t have as consistently smooth motion as previous ones. This could also have been because there were too many large rocks and not enough pebble-sized ones, which really keep the action smooth. Another angle of the Dallasite vibe load. Despite some problems with over-filling, it came out pretty well, I think. Each step (of four, some people do five) in the Thumler UV10 Vibratory Rock Tumbler takes about two days, and on the first morning I checked my batch to see the rocks were barely tumbling and the slurry had dried up significantly. The danger if this happens is a rock could just vibrate a whole through the bowl if it’s not moving around. And it just won’t polish well. Rotary rock tumblers are just set and wait; you have to monitor vibratory rock tumblers much more. Too much or too little water screws up the whirlwind-like action in the tumbler bowl. You have to periodically add more water, but just enough so that the grit is sticking to the rocks and not washing off them. Last shot of Dallasite, similar angle. I added water to my batch and things started moving decently again. 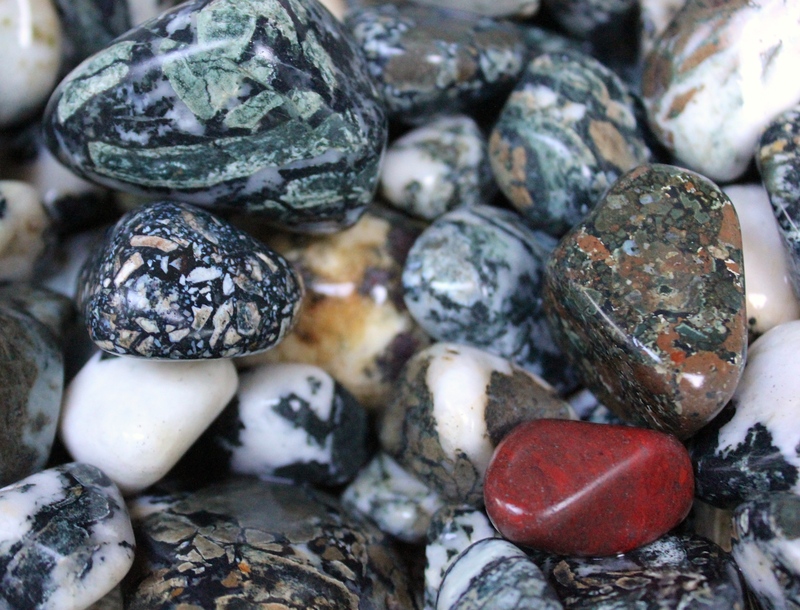 I finished the load and am happy with it and most of these rocks will continue to rounds 3 (pre-polish) and 4 (polish), but I’m going to put more focus into having the right assortment of small to large rocks next time. 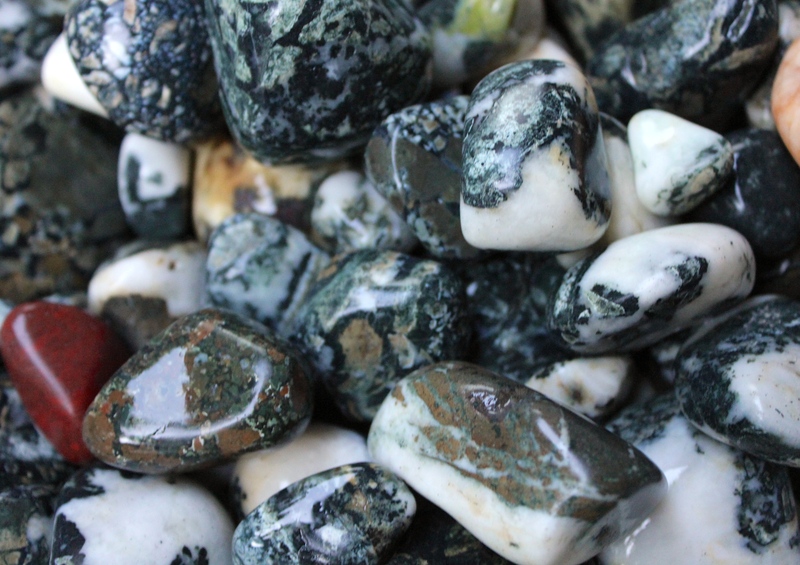 Greenstone from BC. It’s all over the south of this province. It ranges quite a bit and tumbling doesn’t seem to go well for every piece. 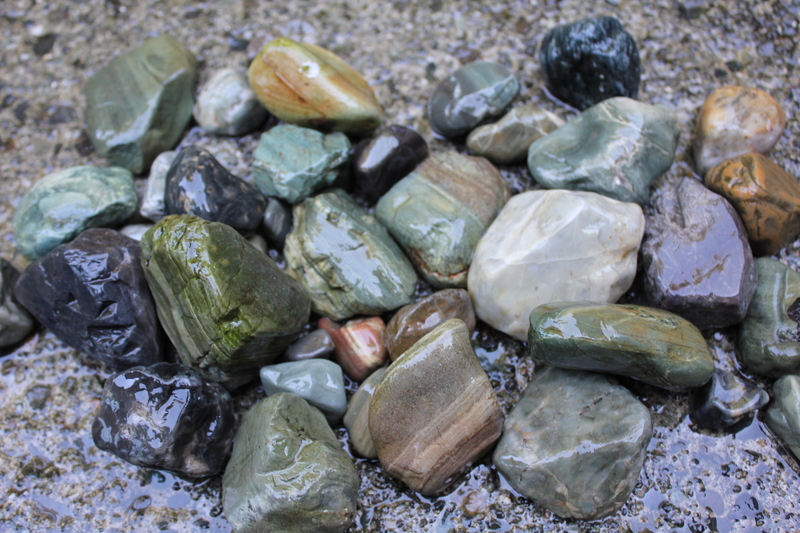 In my rotaries, I put some of the greenstone we find here, which ranges from translucent and waxy to opaque and vividly banded. The softer pieces might not tumble so well, but this is a learning experience. I put them in my 4 lbs rotary tumbler, my smaller one, to see if that kept them a little safer. My double 6 lbs barrels in my Lortone QT66 Rotary Rock Tumbler are filled with Dallasite. 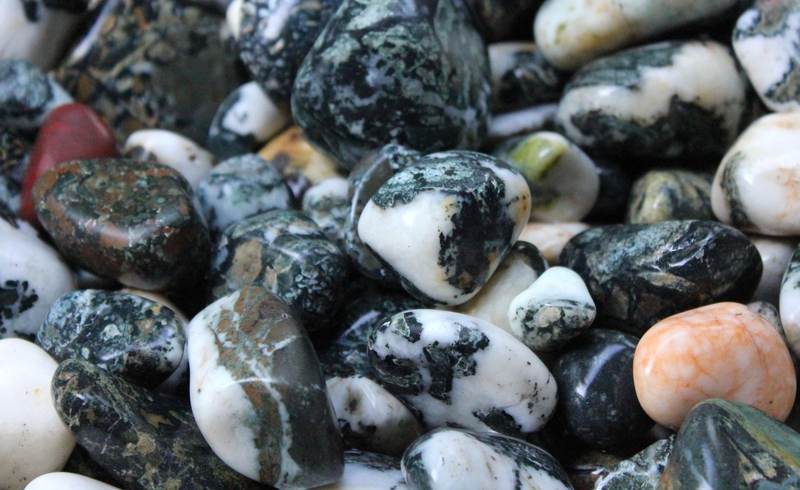 Dallasite is definitely my favourite rock from Vancouver Island and I love bringing out the designs through tumbling. Each piece just gets better and better. The Dallasite load I put in my two 6 lbs barrels. Love this rock! The ocean tumbled these pieces a bit already. Dallasite found on land is not quite so obviously beautiful. Next step, make a few dollars and justify buying another vibe and rotary tumbler. I like the Thumler vibe and would like to try a Thumler rotary tumbler, but I might get the Lortone 12 lbs one. We’ll see. Both my Lortones seem pretty cheaply made and have had problems. My Thumler vibe has been very easy and user friendly. I’m trying to marry my journalism with this hobby and will have interviews and other features on the site.